Some web-based programs will not run under Windows Internet Explorer 10, requiring you to downgrade to Windows Internet Explorer 9. 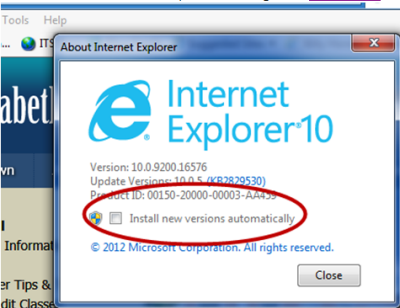 Here's how to uninstall IE10. IE9 will automatically take its place. Step 1:In Internet Explorer 10, click Help from the menu bar and choose About Internet Explorer. Note: If the menu bar doesn't show, see Knowledgebase instructions for displaying it. 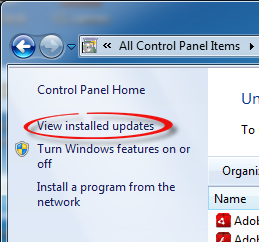 Step 2:Uncheck Install new versions automatically, then close the window. Step 3:Close Internet Explorer. 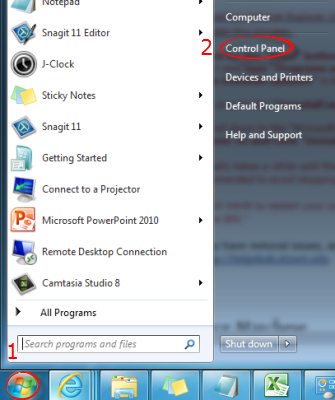 Step 4:Click the Start menu button and choose Control Panel. Step 5:You may need to change the View to Small icons. 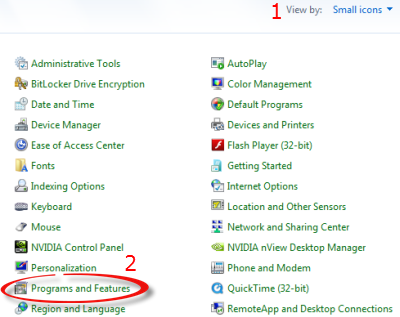 Select Programs and Features. Step 6:Click View installed updates from the menu on the left. Step 7:Begin typing "Internet Explorer" in the search box. Double click on Windows Internet Explorer 10 when it shows up. Step 8:Click Yes to uninstall the update. 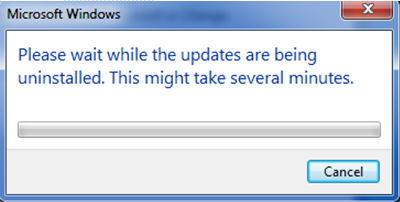 Step 9:Wait for the uninstall to finish. Step 10:Choose to restart now or later for the change to take effect.